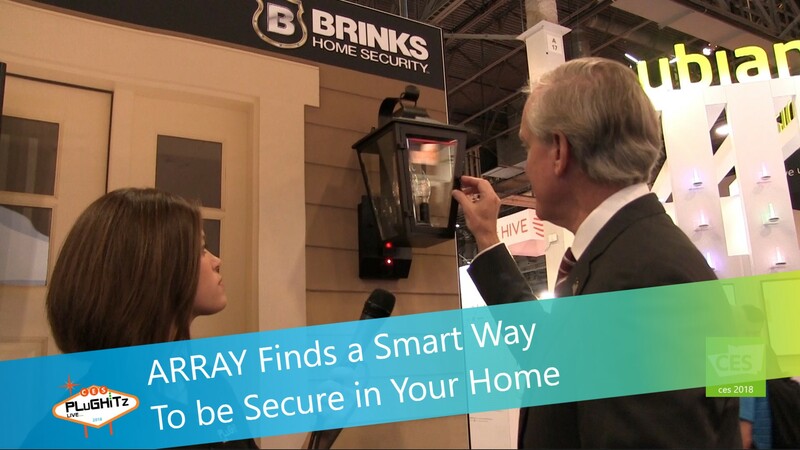 The world of home protection has been enhanced by a new product line from Brinks Home Security called ARRAY, designed and manufactured by Hampton Products. The line features many creative products to keep you and your family safe and protected. The first product is the Brinks Push/Pull/Rotate Handleset. The doorknob offers the ability to open by pulling the handle, as well as the traditional turn, while the handle can be opened by a simple press. The handlesets are available now in a variety of styles, including knob, lever and handle, as well as different finishes. To compliment the handleset is the ARRAY Wi-Fi Smart Deadbolt. The deadbolt is made from military grade steel and contains a solar panel to keep the electronics powered. It also has a hands-free feature making it very useful for entering your home when your hands are full. The deadbolt can be paired to your smartphone and senses when your phone is approaching your door and unlocks it. When combined with the handleset, it makes coming home with your arms full easy. The deadbolt is available for preorder in a variety of styles and finishes. One of the most interesting features of the ARRAY locks is the check lock ability. This feature uses the ARRAY app to check your security at bedtime without having to go back to the doors to be certain that they are closed and locked securely. Using the feature, you can eliminate your nightly "lockdown process" of verifying the state of all of your doors. You can check this from anywhere in the world and, as long as the door is closed, you can even lock or unlock the door remotely. Next up is a set of ARRAY Smart Light fixtures. Both styles feature a 1080p camera with night vision, 270 degree motion detection, a solar panel a microphone and speaker. We've all had a motion sensor light go off any time a cat runs through the yard, or a neighbor who has it pointed towards the street and anyone who drives by turns on the light. The ARRAY light has built-in AI and can recognize humans for activation, meaning that animals or cars will not set it off. The first design is a coach-style fixture, which is easy to open and change the bulb, and looks like a traditional light fixture. In addition, if two lights are needed, for example to go on either side of a garage door, there is the availability of a slave light, which has no camera but it reacts to the master's commands. Whenever the master light turns on, so does the slave. The second design is an LED security light. It features two LED panels with power up to 2000 lumens and can be programmed by your phone to control the brightness, in the event 2000 lumens is too bright. This fixture can also be programmed to be used as a floodlight to enjoy your outdoor area in the evening. Both of these lights will be available in the near future.